Tarot reading has been around for centuries and from the look of it, will be around for many years to come. With thousands of tarot decks to choose from, looking for the perfect one can be a struggle that all mystics face. From color choices to the weight of the cards to illustration and design, sometimes decks just don’t feel like the right ones for you. Don’t fret – Bookmans is here to help! We offer a wide selection of decks for all experience levels. 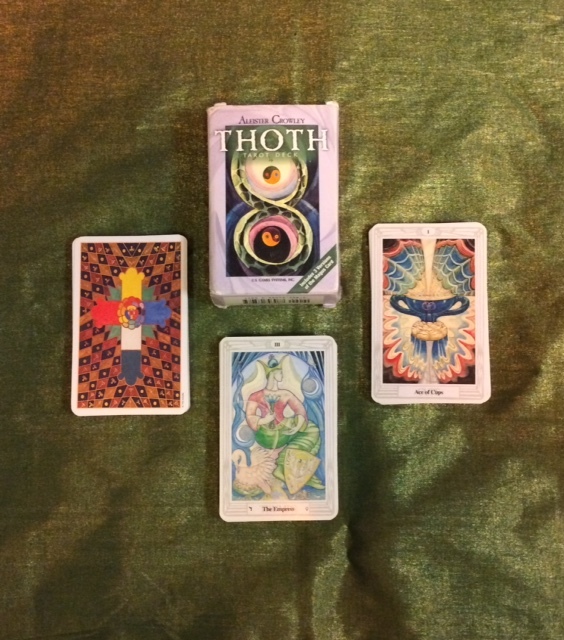 Here are my top four favorite tarot decks that I’ve encountered at my Bookmans store. For first-time tarot users, I recommend this beginner’s guide. With cards illustrated specifically for the novice and an in-depth instruction booklet, this is the perfect way to start your new mystical hobby. I especially love this deck because the backside of each card is a simple deep red that doesn’t distract the user. Each card is designed with the beginner in mind and the illustrations have a really cool medieval feel to them. If you are looking for an easy way to jump into tarot, this deck is perfect for you! This particular deck by the infamous Aleister Crowley is simply gorgeous. With vibrant colors of oranges, reds, and greens, this Belgium deck is perfect for readers more experienced in tarot reading. 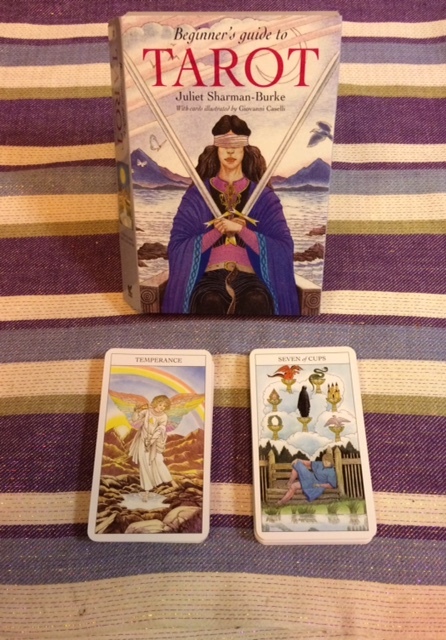 I especially like this deck because it strays from the more traditional adaptations of tarot. This deck definitely has a more occultist feel and it fits the Crowley vibe perfectly. Crowley is known for including kabbalistic and astrological attributes in his decks and Thoth is very versatile, so if you are up for a challenge, definitely check this deck out. 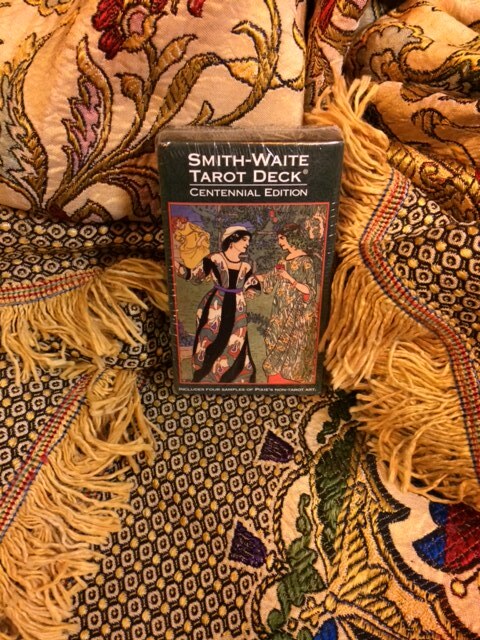 Pamela Colman Smith, the creator of Smith-Waite Tarot, designed her first deck in 1909. Now, more than one hundred years later, her movement still is alive. This recreation of the original deck is stunning. With muted pastel colors and full pictorial scenes, the Centennial Edition maintains a 1900’s feel with a touch of Victorian Romanticism. If you find the standard Rider pack just a bit too intense, give this one a go. “The mystical element of water is both bringer of life and bearer of death, the herald of hope and the harbinger of destruction.” The deep blues and sea greens in the deck’s artwork are both mystical, serene, and somber. This oracle reflects just how beautiful and powerful working with the elements of nature can be. 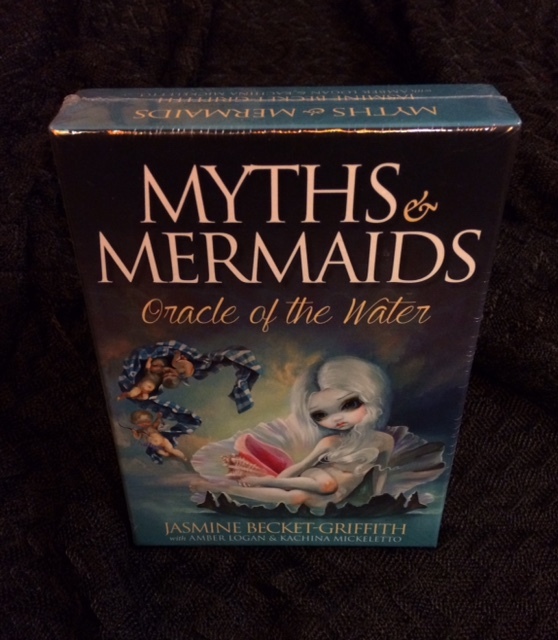 The cards are a little larger than average, so if you are looking for a two-handed deck, I definitely recommend Myths & Mermaids. Interested in learning more about tarot? Stop by your local Bookmans and check out the many gorgeous new and used decks we have!